Your agents will be using LiveEngage from a regular web browser to make calls to your consumers. The following sections explain how to setup your LiveEngage account for voice & video support. Note: Only web browsers listed here are supported. 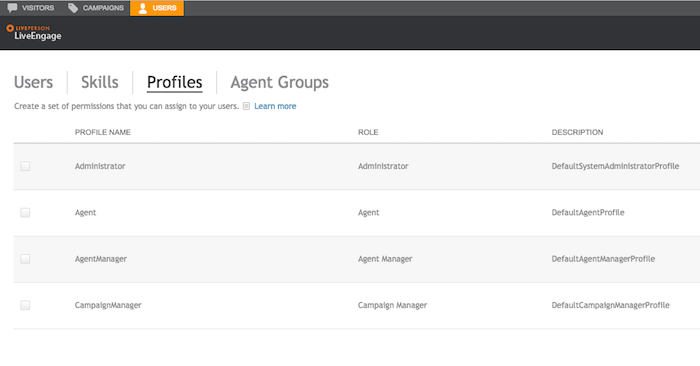 When using LiveEngage from an unsupported browser the feature is automatically disabled from the agent workspace. By default, voice & video is not enabled in your LiveEngage account. Please contact your LivePerson account manager to have this feature enabled for you. Your agents on LiveEngage require a specific set of skills in order to use the voice, video or In-app CoBrowse capabilities of your account. All of these settings should be self-explanatory. Scroll-only is currently supported in Web-based CoBrowse only. For in-app CoBrowse this setting is identical to the normal view-only mode. To make full use of LivePerson's Live Voice & Video SDK, you should add Voice-Over-IP capabilities to your iOS app. This allows users to receive calls in real-time, even if your app is closed. Heads-up: Setting up VoIP Push Notifications the first time can be the most time-consuming task of integration. However, it only needs to be done once and is absolutely worth the effort. Just follow the steps below. First login to the Apple Member Center. 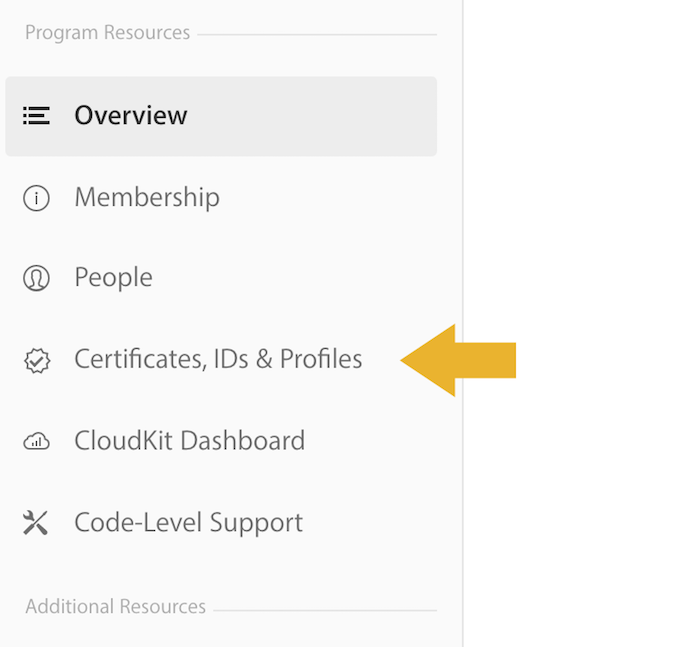 Once logged in, you should open the section Certificates, IDs & Profiles from your sidebar. Note: If you already have an explicit App ID with Push Notifications capability you can skip to Step 3. 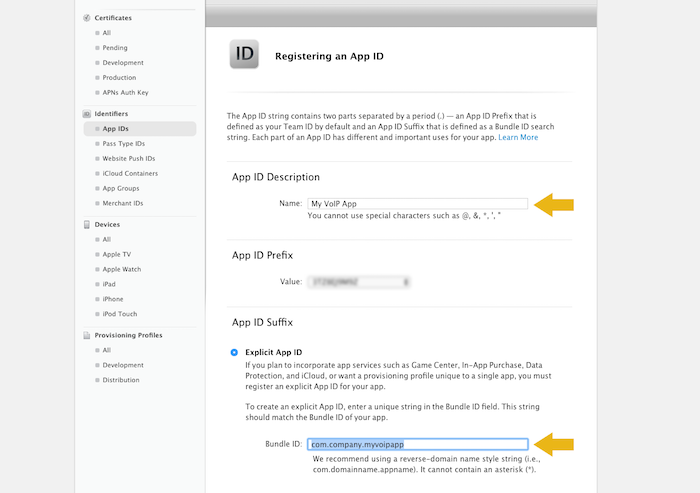 Under Identifiers, select App IDs. Now press Continue and you're done with this step. 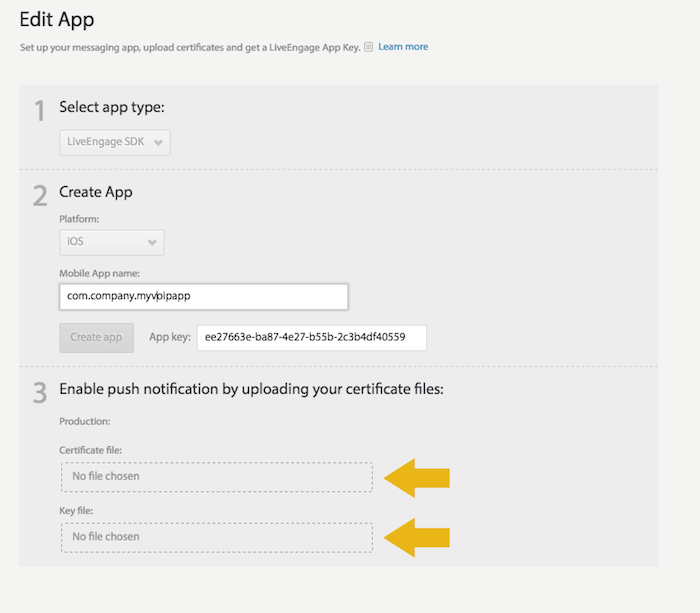 In order to send VoIP-Push notifications to your app's users, a server-side SSL certificate is required. The certificate ensures that no untrusted party can send push-calls to your users. In the next step you will need to select the Bundle ID of your app (created OR edited in Step #2). The displayed bundle ID contains a random prefix, which you can ignore. You will be asked to create a CSR (certificate-signing-request), so follow the on-screen instructions. 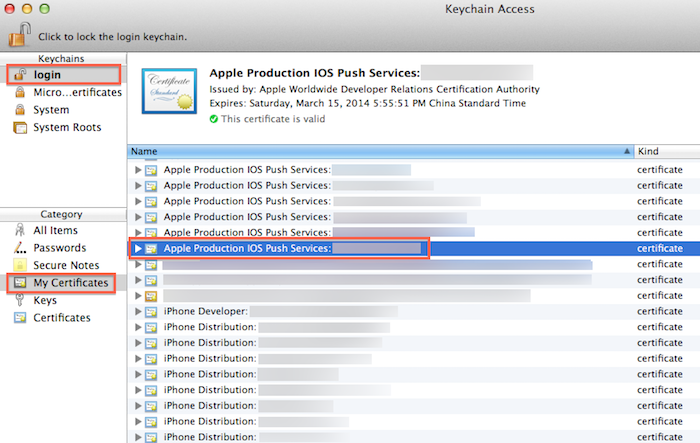 Open the downloaded certificate so it will be added to your Mac's keychain. For some more details, refer to this answer on StackOverflow. You will be asked to enter a password. Choose any and remember it. Your have now successfully exported both your Certificate & Private Key. 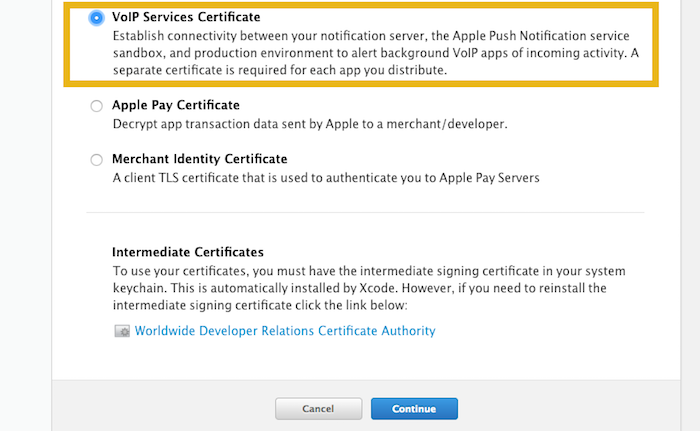 Apple's PushService requires Push Certificates and keys to come in a special SSL format, called pem. 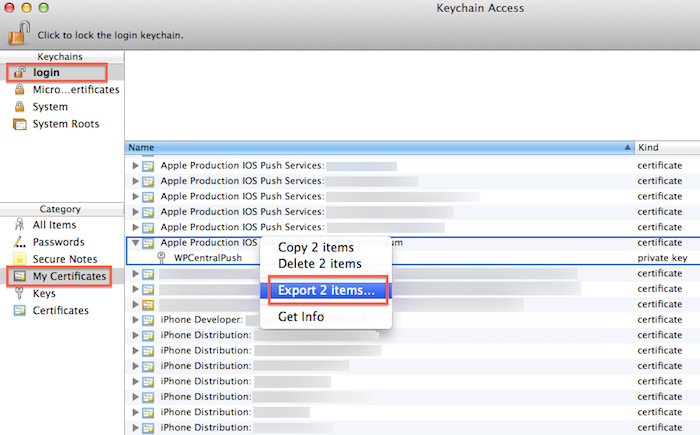 For this reason, it is necessary to convert the certificates exported from your Mac, which are stored in p12 format. This is it. 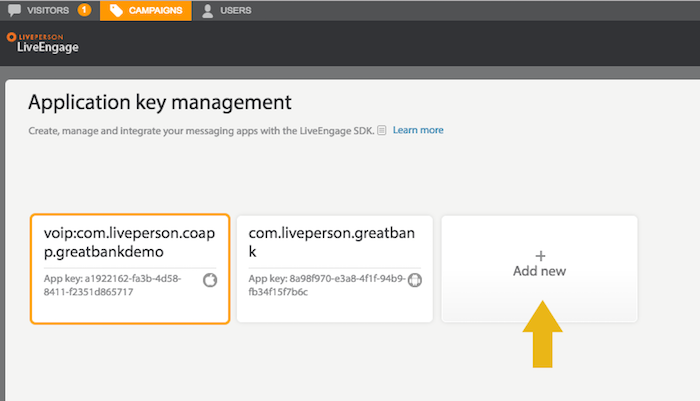 The created files are required to be uploaded to LivePerson's App Configurations of your LiveEngage Account. To learn how to upload your certificates, please continue reading Register Your App. Push notifications using tokens are not yet supported. Please contact your LivePerson account manager for more details. 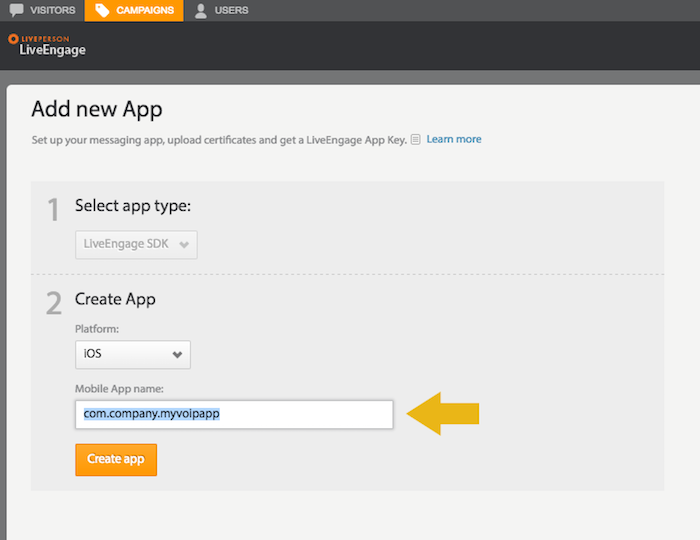 In order to use your app with your LiveEngage account, you need to register it. The steps below are mandatory to receive push-call notifications on iOS. Enter your app's Bundle ID prefixed with voip: in Mobile App name, for example: voip:com.mybrand.app. Adding the prefix is mandatory to receive VoIP calls. 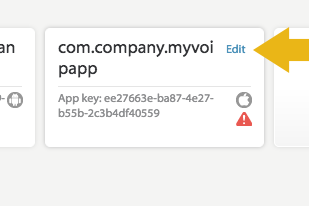 Note: If you followed the VoIP Example Setup, these are myvoipapp-certificate.pem and private-key myvoipapp-private-key-nopass.pem, respectively. Your app registration is now complete.